We bring forth Annatto Seeds for our esteemed customers. We procure Annatto Seeds from trusted vendors and process it hygienically so that only top quality product reaches the customers. The seeds are packed in high grade packaging materials to ensure there is no decline in quality when transporting over large distance. 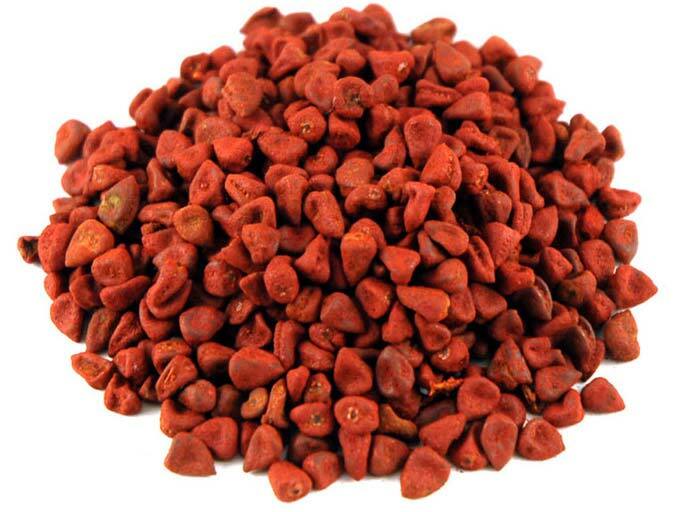 As an experienced Supplier and Exporter from Telangana, India, we offer Annatto Seeds at affordable rates.